Cheri Ann Brunk, 60, of Taneytown, MD died unexpectedly on Monday, December 3, 2018 at her home. Born June 10, 1958 in Waynesboro, PA, she was the daughter of Cyrus and Marlene (Ross) Blubaugh of Tomstown, PA. She was the loving and devoted wife of Mark Brunk. Cheri was a real estate administrator with Sites Realty in Gettysburg for several years. She was a member of the Moose Lodge in Reisterstown, MD and the Eagles Aerie in Littlestown, PA. She enjoyed traveling and had just returned from a week-long Caribbean cruise. 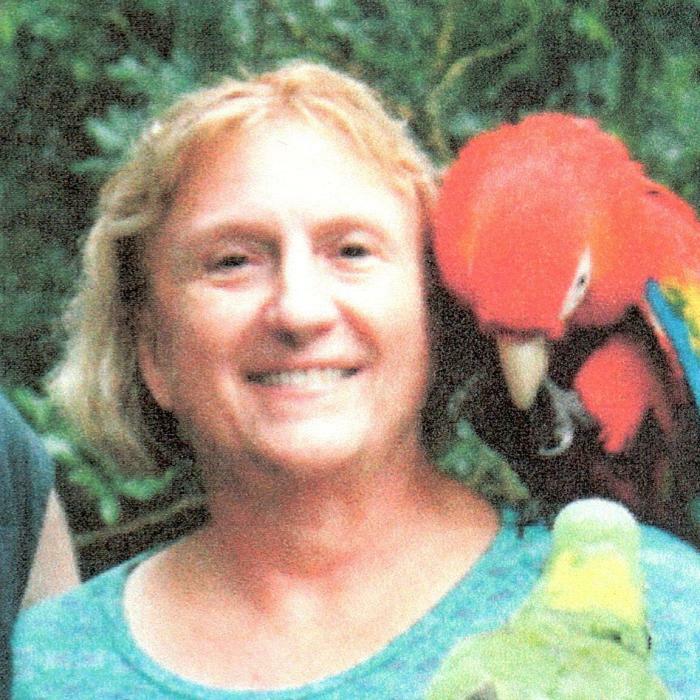 Cheri was a lover of birds, especially her pet Senegal parrot, Tubby. She was an advocate and supporter of the Special Olympics. Surviving, in addition to her parents and her husband Mark, are sons, Ryan Harbaugh and wife Crystal of South Mountain, PA, and Brandon Sites of Taneytown; step-son, Cody Brunk of Littlestown, PA; brother, Brad Blubaugh of Deptford, NJ; and several grandchildren and extended family members. Arrangements have been entrusted to MYERS-DURBORAW FUNERAL HOME in Taneytown and will be announced soon. In lieu of flowers, memorial contributions in Cheri’s name may be made to Bello Machre, 7765 Freetown Rd., Glen Burnie, MD 21060.